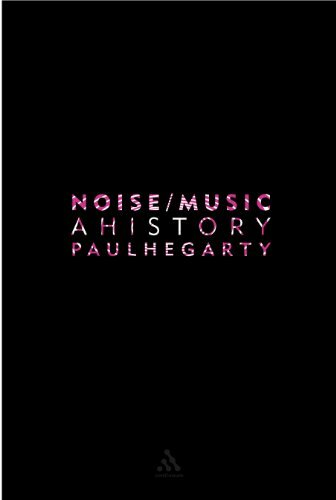 While it provides an excellent historical overview, the book's main concern is in the noise music that has emerged since the mid 1970s, whether through industrial music, punk, free jazz, or the purer noise of someone like Merzbow. The book progresses seamlessly from discussions of John Cage, Erik Satie, and Pauline Oliveros through to bands like Throbbing Gristle and the Boredoms. Sharp and erudite, and underpinned throughout by the ideas of thinkers like Adorno and Deleuze, Noise/Music is the perfect primer for anyone interested in the louder side of experimental music. Paul Hegarty teaches Philosophy and Visual Culture at University College Cork, in Ireland. He is the author of Noise/Music (Continuum, 2007). He jointly runs the experimental record label dotdotdotmusic, and performs in the noise bands Safe and La Société des Amis du Crime.